The Polish Bishops have petitioned the Holy Father to make an act of Collegial Consecration to Mary’s Immaculate Heart on three separate occasions. 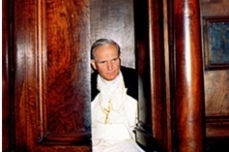 In November 1981, the American Bishops have also decided to ask the Holy Father to make this Collegial Consecration. Some Bishops from Canada and other parts of the world have also petitioned the Holy Father, Pope John Paul II to make this Act of Homage in honor of Our Lady. 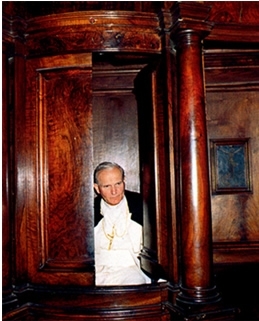 Pope John Paul II, when a Cardinal, himself joined the Polish Bishops in petitioning the Holy Father. But as we can see from other articles in this issue there are still some difficulties and more prayers are needed.One of the intentions of the FATIMA CRUSADE is to pray for the Pope and the Catholic Bishops of the world so that they, very soon, will one special day consecrate Russia to the Immaculate Heart of Mary. According to Sister Lucy of Fatima, when this is done in this manner, then Russia will be converted to the Catholic Faith and there will be peace.